Completely remodeled inside and out, Riverside Court offers luxury bachelor, 1 and 2 bedroom suites next to the Snye River and MacDonald Island. All suites welcome small pets, have assigned underground parking, and laundry facilities. 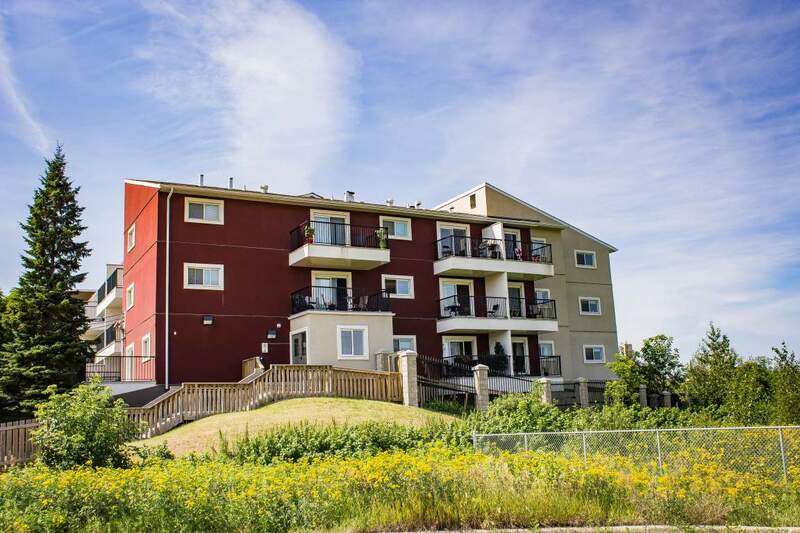 Riverside court is within walking distance to Borealis Park, MacDonald Island Park, and Downtown Fort McMurray. Riverside Court offers furnished and unfurnished options for all 1 and 2 bedroom suites. Furnished suites include a bed/mattress, dressers, dining table, couch, chairs, coffee, side tables, and TV stand with a TV. While we are trying to include kitchen items with all furnished suites, not every item will be included. Please contact us for complete details. 6 and 12 month leases available to new and existing residents. All pricing is listed for 12 month leases only. Please ask us about our prices for a 6 month lease. For signing a 12 month lease, new Northview residents receive 1 free year of TELUS home services!